As soon as they stride through the doors of the main entrance, I see visitors get that instant urge to reach for their camera. It’s not surprising, though, being surrounded by the grand Greco-Roman revival architecture; I often take a moment to look around and feel lucky to work in such a beautiful place. But then these initial snapshots often evolve into an extended photoshoot of the #squad on the stairs, with the designated photographer bowed on one knee to capture the best angle. Then once they’ve climbed the staircase, this progresses to precariously leaning across the balcony (not recommended- unless you’re in a circus) for the best angle and shot. Photography seems to have become a social norm, especially for people flocking to cultural destinations, taking hundreds of snapshots all in one go; like personalised souvenirs. I am aware that this sounds like an obvious inclination for anyone visiting a cultural place, however it’s something I’ve noticed over the past year and a half of working at the gallery. It’s interesting to observe the behaviour patterns of people “looking” at their surroundings and what motivates them to take photos of particular things. When I see visitors taking lots of photos inside the exhibitions, I often wonder why that specific piece? Is it a photo to use on social media, to communicate and share experiences? Does it speak to them on a personal level? Does it provoke a strong emotional response for the visitor? I imagine the most common reason is to look back on the photos as personal mementos, as a visitor recently told me; “You see something and then you want to be reminded of how good it was!”. 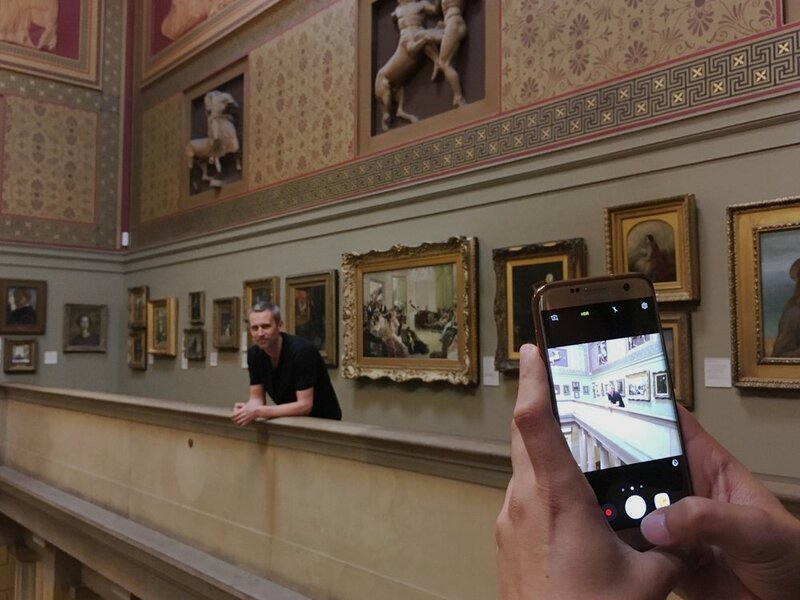 The National Gallery has on occasion, had to succumb to a ‘No-Photography’ rule that became increasingly hard to enforce (as us Gallery Assistants know from invigilating the Vogue 100 exhibition…what a pain in the proverbial!) In fact, whilst invigilating that exhibition, this made me wonder why do people continue to try and sneak a photo, even when they know they are breaking the rules? Maybe because breaking the rules is fun? Because it’s free? Why is it not enough to simply enjoy the experience? Why is there a need to take a picture? 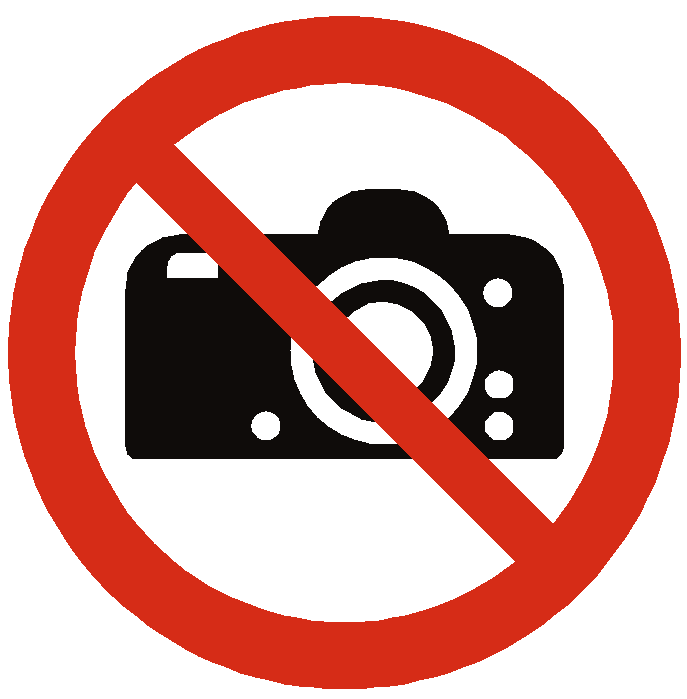 Many places enforce the “No-Photo” rule for various reasons, primarily to protect their revenue streams. Personally, when I’ve visited these places, I’m initially disappointed and resentful; I’m missing out! However, later I found those rules actually had a positive effect, because I could then view the surroundings as they’ve always been viewed retrospectively, before the digital age of instantly reaching for a camera and looking through a lense. Personally, I enjoy photographing places that I’ve visited and art that I have a real passion for, sometimes just to look back on the memories. I’m guilty of asking friends for a photo in front of places like the Sacre Coeur, or inside a Roman Colosseum, because these are places and moments that I want to be able to look back on, as I might never have the chance to visit again. Although, can taking photos like this deter from our experiences, causing us to rely too much on photographs as an object of memory? Often, taking photos can reduce the enjoyment of others around us, who wish we could just “live in the moment!”. Does it matter if we just can’t resist another quick pic? Where do you stand? Are you a snap-happy tourist, recording every visual experience? Or someone who is easily annoyed when camera- wielding visitors block your view?